More than 30 private gardens were open to the public during the Buzz Around Hamburg Garden Walk and Fair on Saturday and Sunday, July 10 and 11. Paul and Chrisanne Gaughan shared their gardens at 241 Union St. The front garden is an extension of the front porch. Notice though, that the garden doesn’t follow the rectangular shape of the porch, but is designed with a curve, free-flowing line. The garden is full and lush, using plants of different heights and colors for interest. In the backyard, the garden is an extension of the back deck. The focal point is a pond and small waterfall, which adds a sense of tranquility. 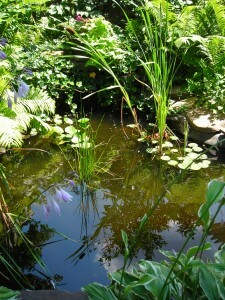 The calm water reflects the water plants and surrounding ferns and hostas. In both front and back, the homeowners make use of unusual and varied container plantings. Flower boxes overflowing with blooms accent windows on both the first and second stories. 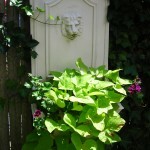 An old fountain hanging on the fence is stuffed with plants. Other traditional pots are placed on the porch. The driveway isn’t forgotten. 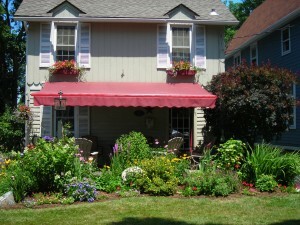 In a shady area, the Gaughans make good use of hostas and other shade plants. 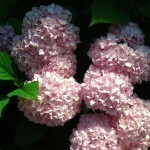 Pictured are large, fluffy hydrangeas. The Gaughans have been in their home for about 10 years. 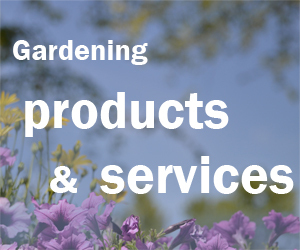 In a comment we’ve heard from other gardeners, Paul joked that he does gardening as therapy. 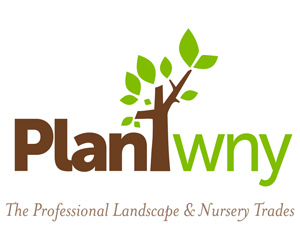 Paul’s tip for other gardeners is to be sure to keep out invasive weeds from the start. “It’s great when somebody gives you a plant, but make sure you pick out all the weeds,” he said. Buzz Around Hamburg is in its sixth year. On Sunday, garden vendors and local artists exhibited and sold their work at Memorial Park on Lake and Union Streets. Also included in the event was a self-guided walking tour of the creative landscaping in the village’s new roundabouts, street bumpouts, and creek overlook, as well as a multitude of oversized pots brimming with vibrant flowers. 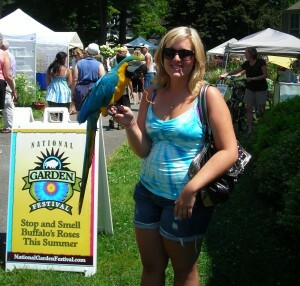 Kelly Hosken of Lakeview and her blue-gold macaw Beaker browse among the vendors.